According to commission member and Planning Board Vice Chair Mike Scully, the theme of the Facebook page is to focus on how Grafton is a great place to live, work, play and do business. More “likes” are needed and Scully encouraged Grafton residents and business owners to share and recommend the page. In addition to the above, Scully said the commission also conducts outreach to existing business owners in town and attends area trade shows and expos, including the Central Mass. Business Expo and meetings sponsored by the Corridor Nine Chamber of Commerce. Grafton is part of the Blackstone Valley Economic Target Area (ETA) with available local and state incentives for investment. 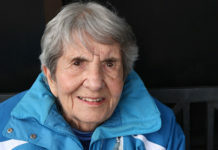 In April of 2009, the town was named a Platinum BioReady Community by the Massachusetts Biotechnology Council, the highest level awarded, and provides expedited permitting in priority development districts. Grafton is also home to two office parks. Grafton Science Park, located on the campus of the Tufts University’s Cummings School of Veterinary Medicine, New England’s only veterinary school, as described in the Economic Development Commission brochure, “is bringing biotechnology, pharmaceutical, medical device and animal health companies to the region.” CenTech Park is a 121-acre technology park located in the towns of Grafton and Shrewsbury with development opportunities. Recently completed economic development projects cited by Scully include the renovation and expansion of Dunkin’ Donuts, now with a double drive-in lane, and a new 12-pump Cumberland Farms gas station and convenience store. Other newer projects include a new Cumberland Farms where the Brooks Pharmacy used to be, described by Scully as a “shining gem for that corner of town,” and the Koopmans/Self Storage Expansion which is nearing the approval stage with the Planning Board. 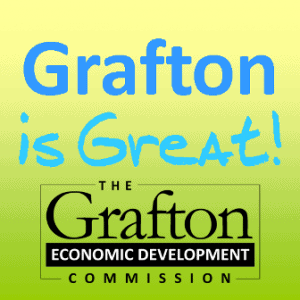 To learn more about the economic development efforts and opportunities in the town of Grafton, or for questions, contact Mike Scully at [email protected].